250 happy RS Aeros now have their names listed! Over 50 new names since last May's update! 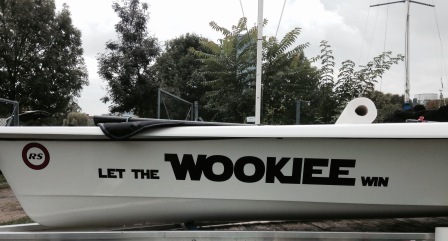 Many RS Aero owners are coming up with some imaginative names for their beloved craft! This ‘name register’ is for general interest and to make it possible, although not vital, to avoid repitition. RS Aero owners can post the names of their Aeros as a reply to the Forum thread HERE and they will be added to the periodic updates. Minimum info is sail number and boat name (but feel free to tell the story if there is one!). You can also post a pic, if you have a nice graphic. Periodically this list can be updated from the Forum and saved to the Class website documents page. So let your imagination go and post up those names! The January 2018 updated list is posted HERE.